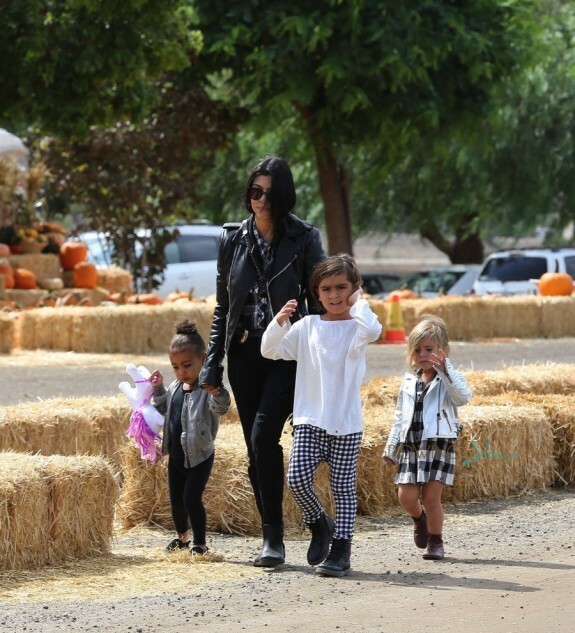 Home » Kourtney Kardashian Takes Her Crew To Underwood Farms! Kourtney Kardashian was spotted enjoying a day at Underwood Farms with kids Mason, Penelope and niece North West. 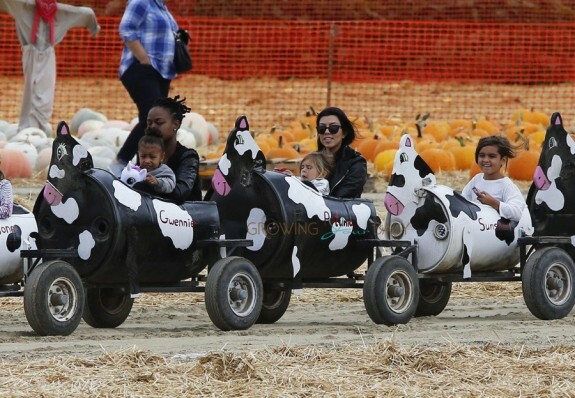 Before picking out pumpkins the reality star and her crew rode the cow train! Mason and Penelope matched in black and white plaid, while North matched her auntie in all black. Kourtney tweeted a picture of the farm, and her hopes to have one someday! Afterwards Kourtney and the kids had lunch at The Grill on the Alley in Thousand Oaks. Throughout the day North clutched her stuffed My Little Pony. The pre-schooler has been attached to the pony for a few weeks. In fact, she even toted the white stuffie to the Ellen show last week.